Obituary for Helen Milbourne | Henry Funeral Home, P.A. Helen Kellum Warner Milbourne, 95 years old departed this life on Monday, March 25, 2019 at the Talbot County Hospice Center in Easton. Helen was born October 15, 1923 to the late Henry and Mamie Warrick Kellum in Cordova, MD. Helen was educated in Talbot County. She worked for many families as a domestic engineer and caregiver in Talbot County during her early years of employment. Later she was employed by Talbot County Public Schools as the cook. At the end of her working career she was hired as cook and retired from the Dixon House in Easton. Helen accepted the Lord at an early age and joined John Wesley UMC in Chapel, MD. After closing of her home church, she transferred and became a faithful member of St. Matthew UMC in Longwoods, Easton. Helen loved her church and church family and before her failing health served on the Usher Board and was a member of the Hospitality Committee. Helen loved the Lord, her family, her church, People, especially children and traveling. Another one of her loves was dancing. Helen joined a dance group at the Talbot County Senior Center. They were known as the “Senior Sliders”. She had a lot of fun with the group sharing her dance moves and making people smile. Helen was married to Leon Warner and from that union, John Edward and Veronica were born. Helen was born in a large family and wanted that for herself. To fulfill her dream to share her love and caring nature, Helen became a foster parent. Over the years, she fostered thirteen children. Helen received awards for her love and commitment of children and community: Foster Parent of the Year and Neighborhood Service Center Participant. In addition to her parents, Helen was preceded in death by her son, John Edward (Mickey) Warner, her first husband; Leon Warner and second husband; Clyde Milbourne, son in law; Gregory Webb, 8 siblings: Evelyn, Amelia, Naomi, Mary, William, John, Leon and Leonard. 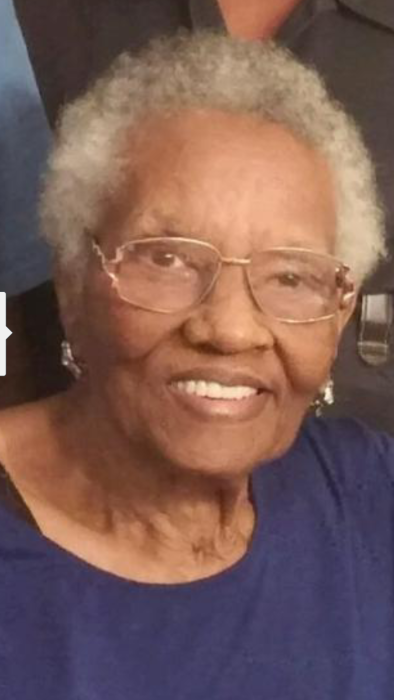 Helen’s memory shall be cherished by her daughter; Veronica; 2 grandsons; Walton and Michael; 5 grandchildren: Daesha, Mya, Leianah, Logan, and Jayla; a brother, Arthur Kellum (Claretta); 2 special foster daughters: Mossile and Francis; and a host of nieces, nephews, cousins and friends.